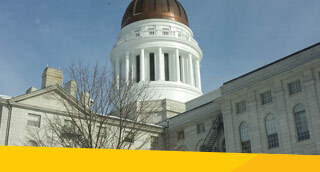 Policy Leaders Academy is a non-partisan educational program of the Maine Development Foundation for Maine Legislators on the Maine economy. This program has delivered high quality, objective and non-partisan experiential training to legislators since 1985. 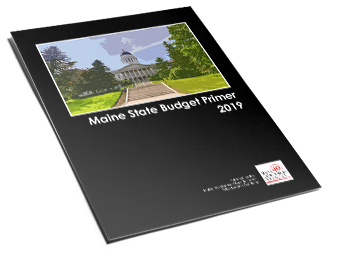 The program is open and free for all Maine Legislators. Program participants learn about the fundamentals of the Maine economy and the factors that drive long-term growth. Participants learn how their public policy decisions affect the growth and investment strategies of Maine’s for-profit businesses and organizations. They learn this through interacting directly with business, non-profit, education and community leaders throughout Maine. Policy Leaders Academy is a program of the Maine Development Foundation, with strong financial and personnel support from several prominent Maine Foundations and Organizations committed to a prosperous and thriving state. The Legislative Bus Tour is a key component of the Policy Leaders Academy Program and brings legislators face to face with businesses, nonprofits, and communities facing an array of opportunities and challenges. This year’s bus tour will focus on Western Maine, featuring stops in Lewiston/Auburn, Farmington, Skowhegan and points in between. Buses will depart from the Maine State House in Augusta at noon on January 9th and return to the same location late afternoon on January 11th. This event is free of charge – all lodging and meals are included. Please note this event is for LEGISLATORS ONLY; we are unable to accommodate guests or family members. Is civility an abstract notion or is it a code of conduct that can be applied to the political and policymaking process? How can we all become better practitioners to improve civility in our legislatures? How do we set aside personal attacks and rebuild trust after a season of negative campaigning? Please join former Ohio State Representative Ted Celeste and his colleagues from the National Institute for Civil Discourse for a highly interactive workshop designed to support state legislators who want to promote greater understanding and better decision making.